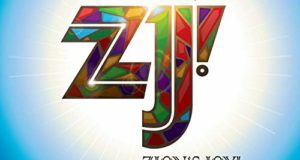 On a rainy October 19, 2007, in North Adams, Massachusetts, after a passel of church choirs appeared at the Massachusetts College of Liberal Arts Gospel Fest, the audience warmly received the headliner, an eighty-seven-year-old music veteran. Marie Knight, a gospel and R&B star and well-known collaborator with Rock & Roll Hall of Fame Inductee Sister Rosetta Tharpe, was the veteran, and Mark Carpentieri’s M. C. Records captured her complete song service on tape. 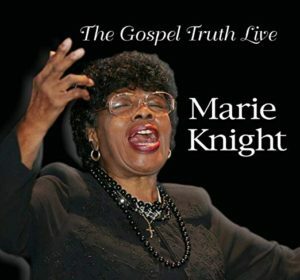 Released last year, The Gospel Truth Live is the last full-length performance of Madame Knight, as she passed away in 2009, a little less than two years after the song service. 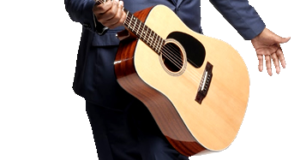 In a voice that had deepened over the years to a rich amber, Knight delivers a baker’s dozen of traditional gospel songs with an evangelist’s conviction. She peppers her appearance with anecdotes that are at turns humorous and sobering, but always straight to the point and with a moral tagged on. Among the program’s highlights are Knight’s bouncing Mahalia-esque rendition of “Didn’t It Rain” and the equally rollicking and infectious “I Am the Light of This World.” Her vocal phrasing and lung power are especially evident on “Beams of Heaven” and on “Jesus Loves Me,” which she sings in the manner of the Barrett Sisters’ 1960s arrangement. Knight’s music director and piano accompanist, the talented and appropriately-surnamed Dave Keyes, supports her like Mildred Falls did for Mahalia, a combination as well-fitted as Knight and Tharpe. The audience is fully engaged, giving her a rousing welcome and clapping along from time to time. You can even hear a few members talking back to Knight during her spoken introductions to the songs, just like at a Sunday service. The composer credits listed on the album are not always accurate. 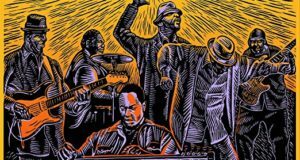 For example, “Didn’t It Rain” is attributed to Knight and Tharpe when it is really an arrangement of a spiritual by Roberta Martin. And while the Reverend Gary Davis may have arranged “Twelve Gates to the City” for his own performance, the song rightly belongs to Thelma Davis of the Davis Sisters. Similarly, “I’ll Fly Away” was written by Albert E. Brumley, not Davis. Lesser singers have been better remembered than Marie Knight over the years and that’s a shame. But listening to what Knight said and sang that rainy Massachusetts evening in October, I suspect she didn’t mind. Her reward was up above her head. And ours, at least for now, is hearing her live. Turn this CD on and let it go.